The world’s greatest hockey management simulation makes a dramatic return. Eastside Hockey Manager is the most realistic, in-depth and immersive simulation of hockey management available, giving you the chance to manage club or country in any of the world’s top hockey-playing nations. EHM allows you to take full control of your roster – you decide who to sign, who to trade and who to draft. You assemble the perfect coaching team and then, with everything in place, you can choose to either employ a head coach to guide your team from behind the bench, or take control of the coaching duties yourself. Whichever you choose, you can follow the action ‘live’ or watch the game highlights afterwards through the realistic ‘top down’ 2D game engine. You’ve always known that you have what it takes to lead your franchise to hockey glory, and with Eastside Hockey Manager you have the chance to prove that. EHM: includes 13 international tournaments for senior and U20 national teams, with tournaments hosted in a variety of nations and cities. The database format allows the importing of user-generated up-to-date rosters and even historical starting databases (created for earlier versions of EHM). The centralised navigation bar makes management easier and more intuitive with all key management controls incorporated into the main menu bar. Players develop and age naturally, with new players coming through the junior systems and older players eventually retiring or moving on into non-playing careers. Furthermore, the role-based attribute modelling makes players more realistic and more varied. 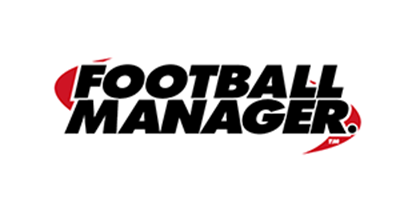 …including detailed financial modelling of player contracts, salary caps and player budgets; an intuitive tutorial system which takes users through the early stages; the option to hide all visible attributes in the game for added challenge; a nation overview screen which allows you to view all of the top leagues, clubs and players for each country; player/non-player profiles; an option to start the game with a fantasy draft; all-star games with skills competitions and many, many other features. © Sports Interactive Limited. Published by SEGA Publishing Europe Limited. Developed by Sports Interactive Limited. SEGA and the SEGA logo are either registered trademarks or trademarks of SEGA Holdings Co., Ltd. or its affiliates. SEGA is registered in the U.S. Patent and Trademark Office. Eastside Hockey Manager, the Eastside Hockey Manager logo, Sports Interactive and the Sports Interactive logo are either registered trademarks or trademarks of Sports Interactive Limited. All rights reserved. All other company names, brand names and logos are property of their respective owners. Sports Interactive Limited, 27 Great West Road, Brentford, Middlesex, UK, TW8 9BW.